A rival florist has opened in town, and the Bloom family shop is in trouble! The new flower shop is all sleek and modern, while the Bloom shop has a cosy but homespun feel. What’s more, prom season has arrived, and the race is on to create the very best corsages, bouquets and buttonholes. It’s an all-out flower war! So when Del finds out that the son of the rival florist is the cute boy in her class, she’s torn. Can she stay true to her family and be friends with her maybe-crush? A very interesting story. I really liked it. 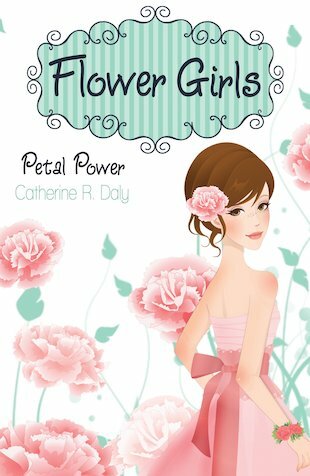 Is about a girl called Delphinium who’s family own a flower shop and a new florist is stealing their customers. And the son of the new rivals is in her class! Can she still stay true to her own family and be friends with her maybe crush at the same time? I really want this book; I think I would really enjoy it.